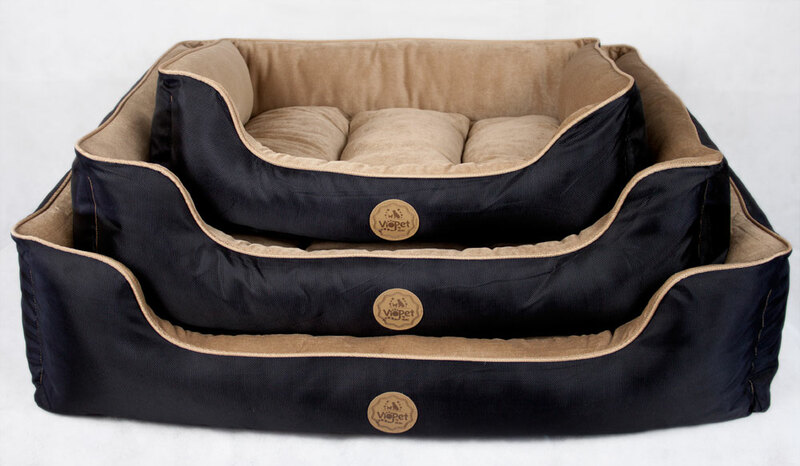 Lola’s Lounger is delightfully spacious for dogs that spread out in their slumber. 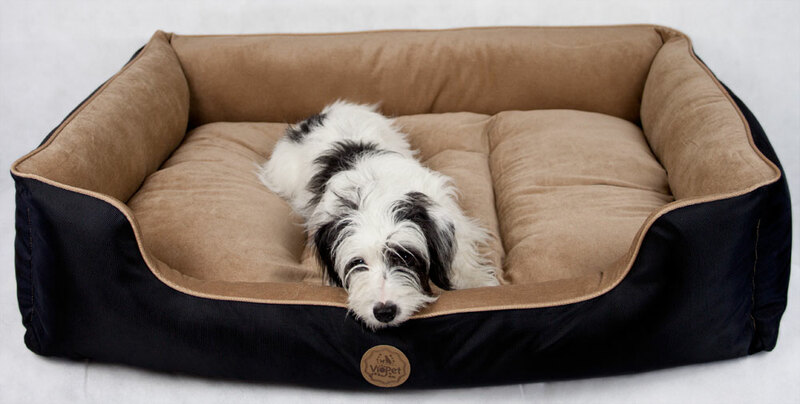 The rectangular bed is dual purpose with a soft, fine corduroy inner for comfort and warmth, and a waterproof canvas outer that can easily be reversed for wet and muddy paws. Lola’s Lounger is a high quality, hard wearing bed with thick, cushioned sides and a snug, removable insert. 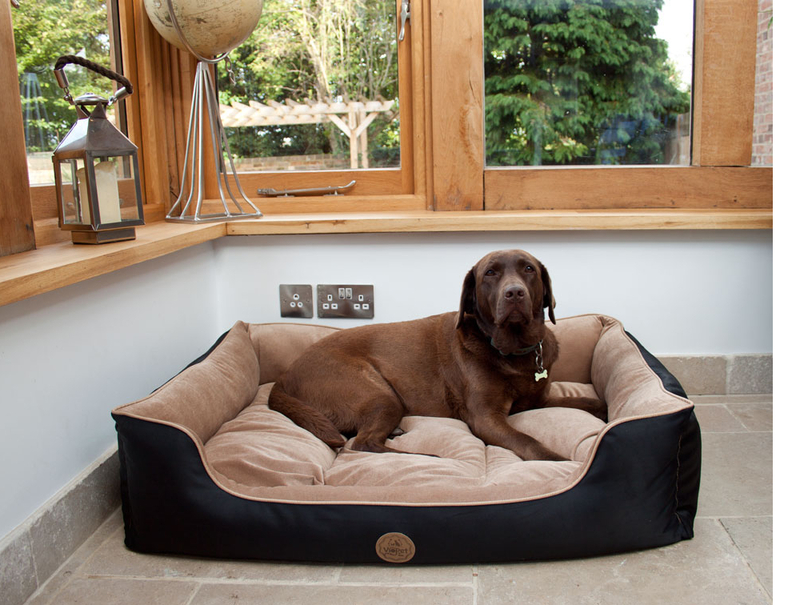 The latte coloured corduroy and stylish piping make this an attractive bed that will complement any home. The Lounger comprises 7 removable cushions that ensure an even distribution of filler, and needs to be assembled before use. Sizes shown relate to the external dimensions of the beds. Scroll down for internal dimensions. 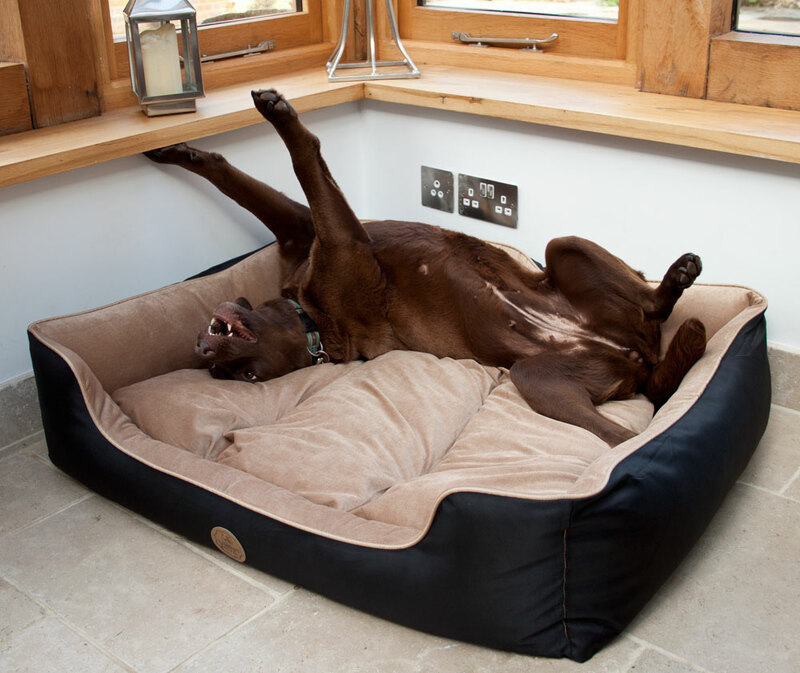 Lola is our larger Labrador who loves to sprawl and wriggle. Most of the time she manages to keep the bed to herself but, should she have a friend to stay, it is more than big enough for them both to share! 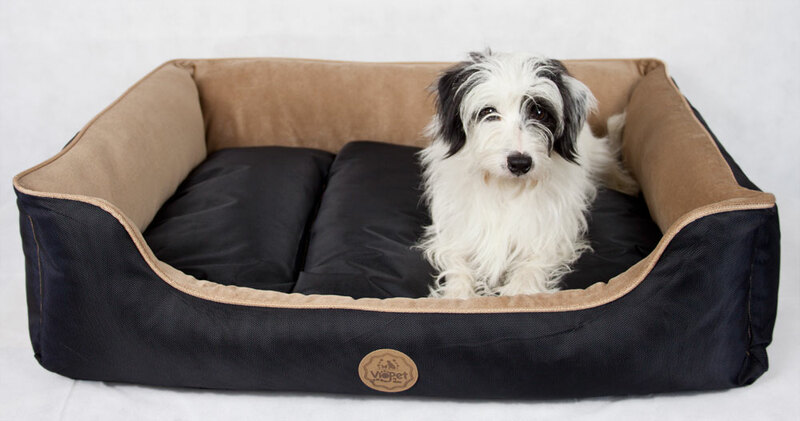 Below are some recent questions we've received regarding VioPet Lola's Lounger Dog Bed, including answers from our team. The internal dimensions are approximately 57 x 48 cm. 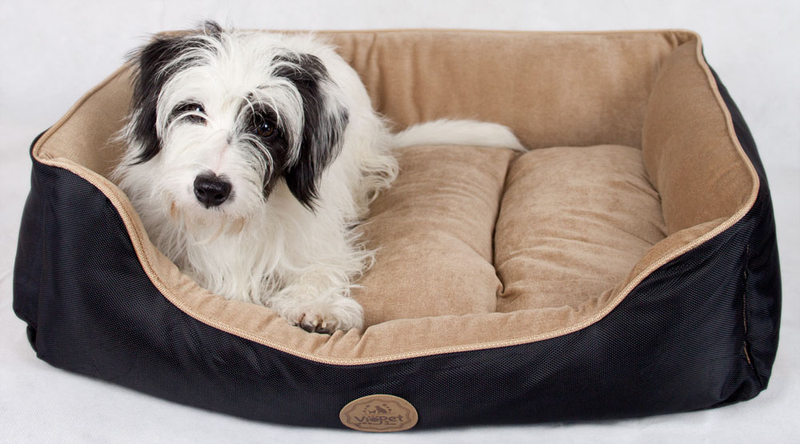 If this is too small, we have a couple of other beds in our range which may be suitable, for example, the medium Stewie Snuggle. 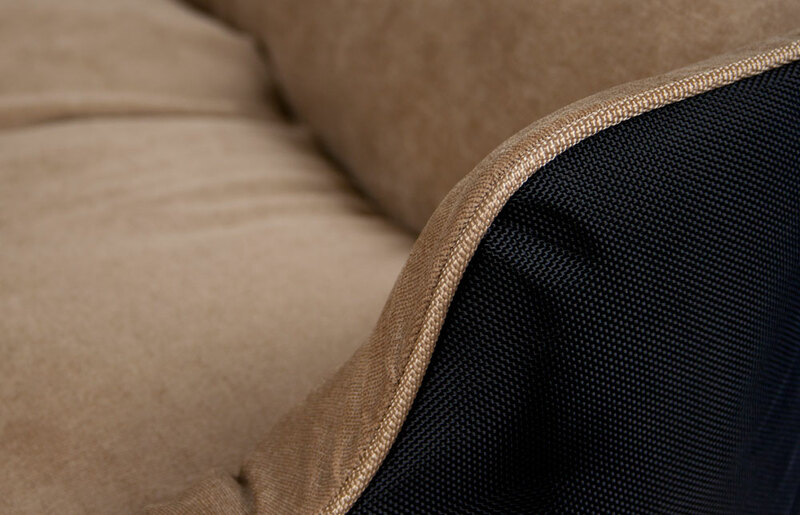 Stewie Snuggle doesn't have removable covers like the Lola Lounger, but it can be put in the washing machine on a low temperature, and it air dries quite quickly. I have a springer spaniel who likes to lie out. Is the measurements internal. This will be the third bed I have ordered and I need to get it right. She is quite long and only 6 months old so will grow a bit more. The measurements are external measurements, not internal. The cushions are supplied with filler (100% acrylic) and their covers can be removed for washing. The filler can be washed gently too if needed.